Head coach Phil Potter nominated in the Waterman’s unsung sporting heroes. 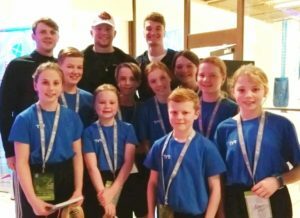 Hearts hosted their 2nd meet of the season with the ‘Last Chance’ gala at Bathgate Xcite Pool on Sunday 24th February. 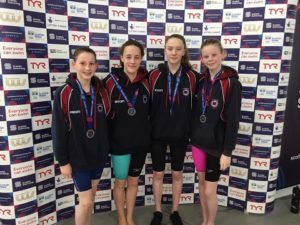 The gala gives the swimmers an opportunity to achieve Scottish National Age Group qualifying times before the closing date. A total of 38 swimmers from across 4 squads competed in 115 races across the day and achieved an amazing 71 personal best times. 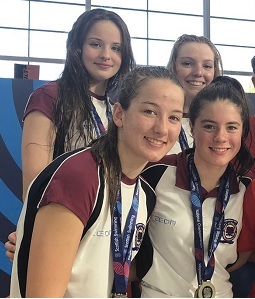 Hearts swimmers also were the proud recipients of t19 Gold, 16 Silver and 9 Bronze medals. 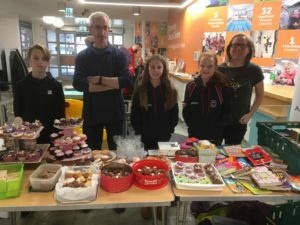 The meet ran very smoothly and the committee would like to thank all of the parents who volunteered their time on the day to ensure that it was successful. It was great to see so many clubs taking part, thanks to everyone who came along and made it such a successful meet. 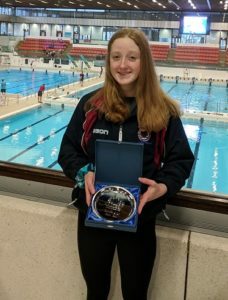 The final weekend of the East District Age Group championships took place on the 9th and 10th of February at the Royal Commonwealth Pool in Edinburgh. It was 2 full days, with 6 sessions in total and over 40 of our swimmers took part in more than 150 races (100m of each 4 strokes and 200IM). 15 of our relay teams completed the programme. 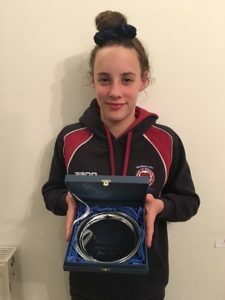 The points from the full East District series were added together to award a top boy and girl trophy in each age group. We’re proud to say that Kate Carruthers (13 years) and Erika Coupek (17 and over) were age group winners. In addition, Alison Grant and Delia Thorley were both signed off in their Judge 1 assessments bringing more success to the club. Well done ladies! Finally, a huge well done and thanks to everyone who participated, helped out on poolside or at the front desk, managed the livestream, officiated as a timekeeper, judge or starter or coached the swimmers to success. HMASC were definitely well represented.